The Lotus Buddha Here is another shot from the Buddhist Temple nestled in the Honolulu mountains. For the first part of the story, click here. After the meditation jam, I met up with my family and walked around the temple as the sun was starting to set. 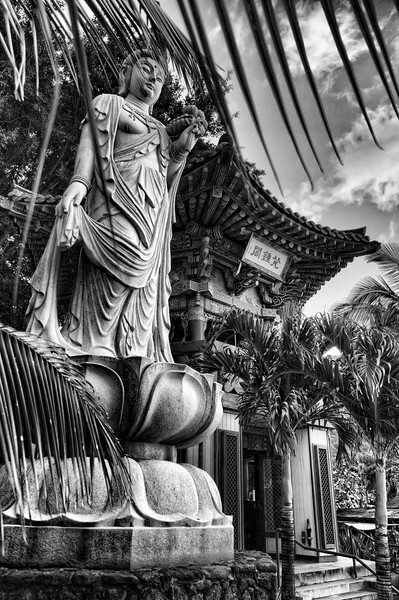 I found this huge statue of Buddha standing on a lotus flower and the sky was interesting so I shot it and processed it in monochrome to give it a timeless feel.